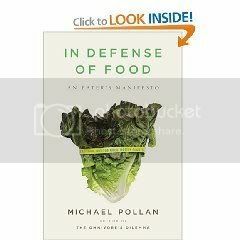 I have so much to say about In Defense of Food , by Michael Pollan, that I haven't said anything since my initial post after I'd read the intro. It just got better after that, but I had so many thoughts it was overwhelming. 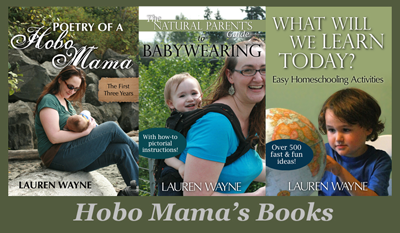 I decided to try to break it down into manageable chunks and write when specifically inspired. Today's specific inspiration came yesterday actually, when I was writing about starting my garden for this year and reminiscing about my satisfaction with last year's tomato harvest. "Eating with the fullest pleasure — pleasure, that is, that does not depend on ignorance — is perhaps the profoundest enactment of our connection with the world. In this pleasure we experience and celebrate our dependence and our gratitude, for we are living from mystery, from creatures we did not make and powers we cannot comprehend." "To take part in the intricate and endlessly interesting processes of providing for our sustenance is the surest way to escape the culture of fast food and the values implicit in it: that food should be fast, cheap, and easy; that food is a product of industry, not nature; that food is fuel, and not a form of communion, with other people as well as with other species — with nature. Gardening requires honest work, and quite a bit of it, but the reward is truly appreciating the food that sustains you. I wrote before that Pollan's book combats the cult of nutritionism, the reducing of food to its constituent scientific parts (or, at least, the ones we know about). Food in the nutritionist view is only a collection of various fats, carbs, and vitamins, and if we don't know what makes it good, then we can't appreciate it. As I've been planning my veggie patch, I've been struck by how the seed packets tout the vitamins inherent in kale and broccoli — as if anyone would doubt that such leafy greens are good to eat! As if that's how I'd choose what to grow — oh, this one's high in vitamin C but not A, never mind — over such niceties as what kind of food we like to eat, or what I think will work well in our garden patch. But we've come to a point in American food consumption where we trust our experts over our own common sense and cultural traditions. 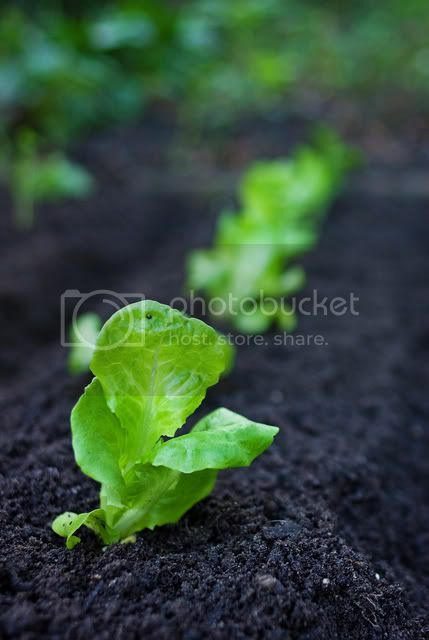 Growing your own (vitamin-rich, who knew!) vegetables is an exercise in getting back to what we instinctively know is good for us. "When the basket of produce lands on the kitchen counter, when we start in on the cleaning and cutting and chopping, we're thinking about a dozen different things — what to make, how to make it — but nutrition, or even health, is probably not high on the list. Look at this food. There are no ingredients labels, no health claims, nothing to read except maybe a recipe. It's hard when contemplating such produce to think in terms of nutrients or chemical compounds; no, this is food, so fresh it's still alive, communicating with us by scent and color and taste. ... The cook does not need to know, as the scientists have recently informed us, that cooking the tomatoes with olive oil makes the lycopene in them more available to our bodies. No, the cook already knew that olive oil with tomatoes is a really good idea. "Subversive acts." That's the kind of thing I can get behind. Vive la kitchen-garden revolution!